Dubai, United Arab Emirates (20 November, 2012) Nissan GT-R, the legendary supercar, has been further enhanced for the 2013 model year, offering more performance, stability, refinement, and greater customization. While continuing to be available in VVIP grade, further levels of customization have been introduced with more to follow including a unique example for Usain Bolt, the world’s fastest man and champion Olympic sprinter, brand ambassador for the 315km/h GT-R and honorary “Director of Excitement”. The 2013 model year is the fifth iteration from Mizuno, and features improved engine response in the mid- and upper-rpm rev range, increased body rigidity, and specification changes to the shock absorbers, springs and front stabilizer. As a result, the vehicle’s overall performance is dramatically increased, high-speed stability improved and ride quality is more refined. 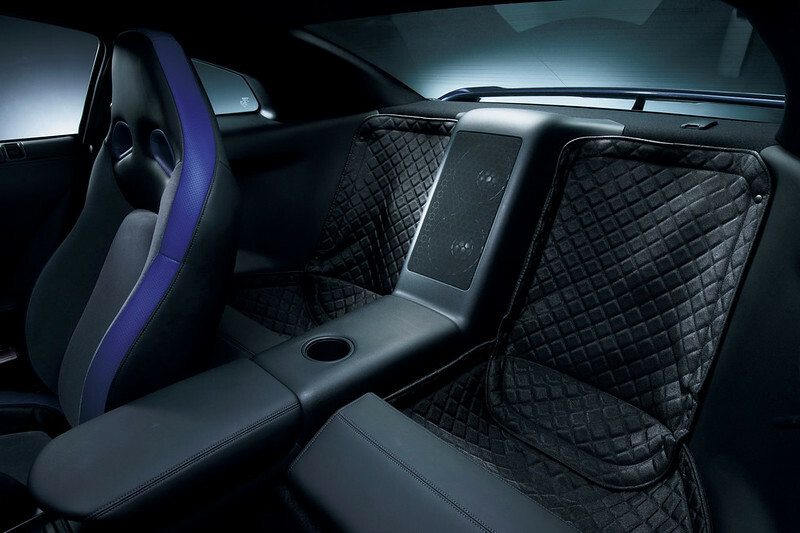 Additionally, a Premium Edition version will be offered that features rich Semiarinin leather and custom-colored interior as fashionable interior package, further enhancing the sense of quality within the cabin. It’s this combination of staggering performance and style which led Usain Bolt, the world’s fastest man and champion Olympic sprinter, to buy a Nissan GT-R. 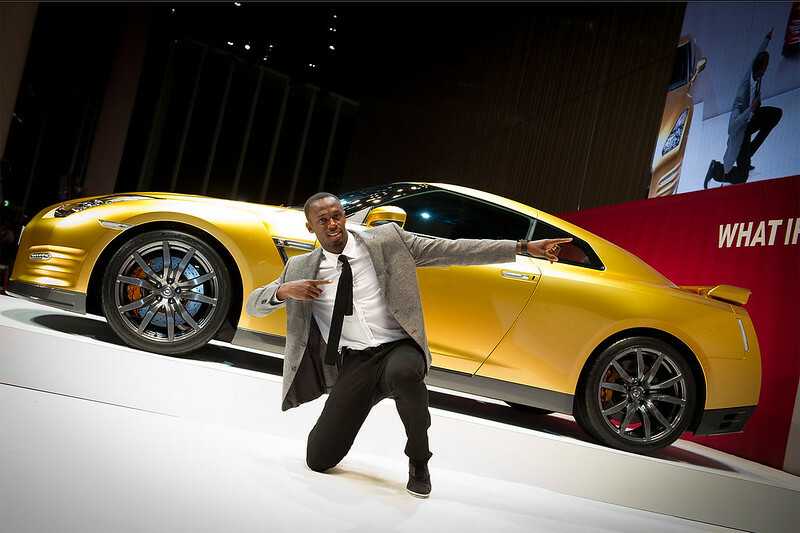 The relationship between the multi-gold medal winning athlete and Nissan has led to the recent announcement of Bolt becoming brand ambassador for the 315km/h GT-R and honorary “Director of Excitement” for the Nissan brand. The teaming of world’s fastest man and superfast supercar is set to continue with a unique gold-painted GT-R, signed by the man himself, soon be auctioned to benefit the Usain Bolt Foundation (http://usainbolt.com/foundation/). However, this isn’t the only GT-R he will inspire: a special “Bolt GT-R” for his personal use is in the pipeline while Bolt will also start work with Nissan product specialists on a limited-edition version which can be ordered in markets where GT-R is available (details will be announced at a later stage). Bolt and Nissan GT-R are central to the company’s ambitious “WHAT IF_” global brand campaign. Featuring Nissan’s iconic products and breakthrough technologies in billboards at airports around the world, it forms part of the company’s Power 88 mid-term business plan – aimed at capturing 8 per cent market share and 8 per cent operating margins. 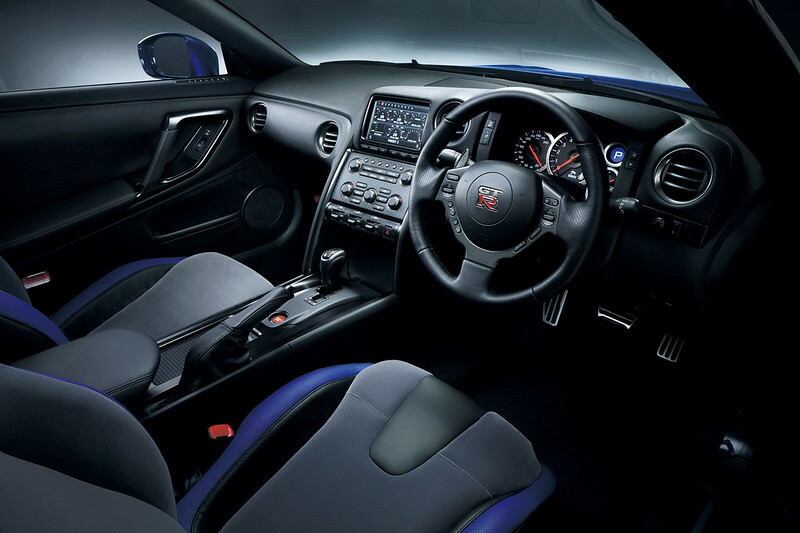 2013 Nissan GT-R goes on sale across theMiddle Eastfrom February 2013 onwards. Considered to be one of the greatest series of road cars, the first GT-Rs were produced in 1969 (codenamed KPGC10) and soon became the flagship of Nissan performance as the Skyline GT-R. It remained as part of the Skyline family for the KPGC110, R32, R33 and R34 derivations, becoming known simply as Nissan GT-R in 2007. Since then, it has received regular enhancements with Mizuno-san declaring in 2012 it had become the car he always hoped the GT-R to be. While many consider it to be near motoring perfection, Nissan has made a commitment to further enhance and refine its unique supercar. Sharper mid-range engine response and improved high-end acceleration. The front spoiler with carbon air duct has been exclusively made for this edition. 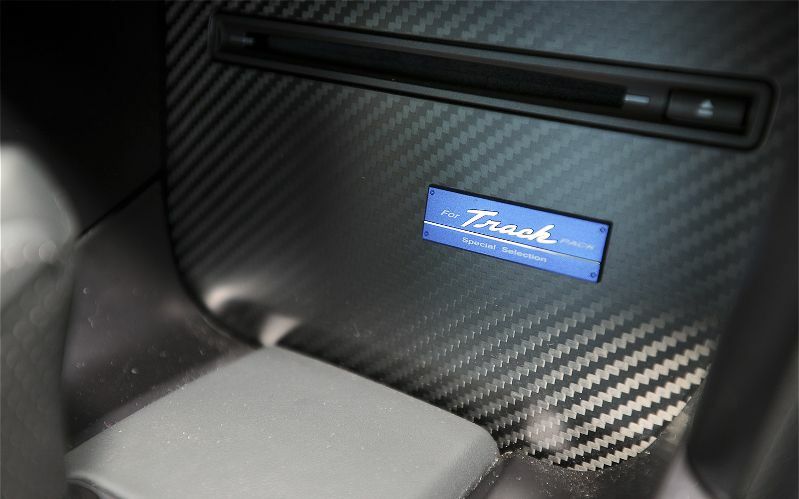 GT-R Track Pack Plus options – Titanium Muffler and Carbon rear spoiler. Carbon-fiber rear spoiler and lightweight aluminum-alloy forged RAYS® wheels are available as a factory installed option (Track Pack Edition as optional). Rear View Monitor comes as standard equipment on the all models.